Thousands of UK nurses say there simply aren't enough staff where they work to provide safe care. 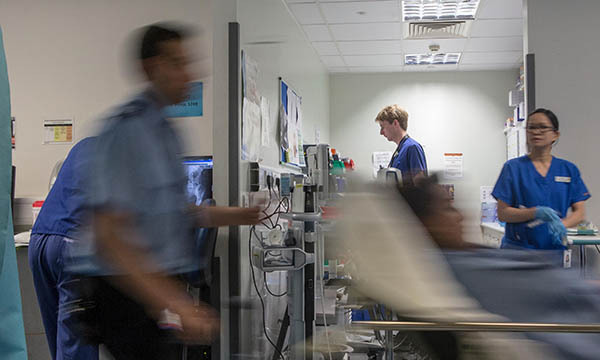 A nursing workforce survey by Nursing Standard and the Sunday Mirror has highlighted serious safety and patient care concerns in the profession. The survey results add weight to what the RCN and many nurses have already stated – that inadequate staffing is a threat to patients and damaging to nurses, yet it is now a daily reality all over the UK. In total, 3,100 nurses responded to our survey. While a majority were in England, all parts of the UK were represented. Most respondents worked in the NHS. 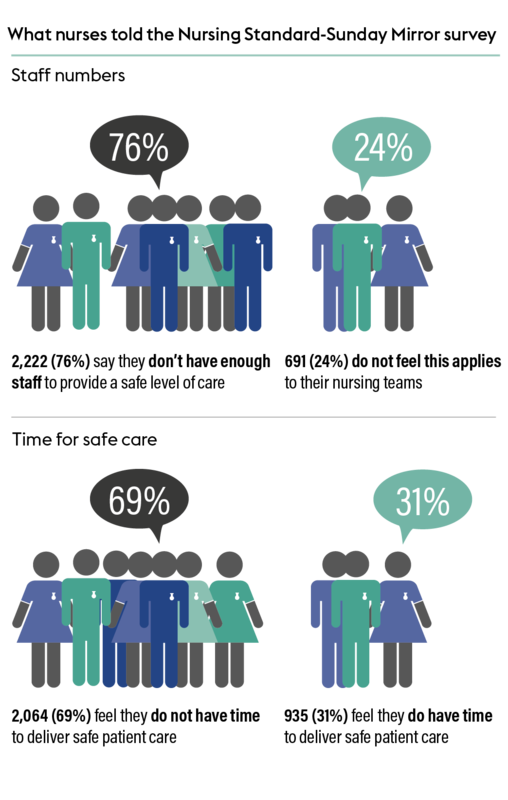 Three quarters (76%) told us they don't have enough staff to provide safe care, more than half (61%) said their workplace is not safely staffed and more than two thirds (69%) said they feel they don’t have the time to give patients safe care. RCN general secretary Janet Davies says the feedback represents ‘a tragic situation’ that could have been avoided, adding that the college was working to improve staffing levels. Part-time practice nurse Trish Cameron is based in a small GP practice in Glasgow’s Southside. She has a background as an emergency nurse and says she has seen many hospital-based nurses of her age – she's 58 – burn out and leave the NHS. Ms Cameron now feels she has a good work-life balance in her role, in contrast to past nursing roles she has had in the NHS. She says she is well supported by the ‘very conscientious’ GP who runs the practice. ‘That makes my job easier,’ she explains. Ms Cameron is able to take time for CPD and is currently taking an asthma course. An RCN campaign calling for legislation on nurse staffing levels and accountability in law across the UK will begin this autumn. 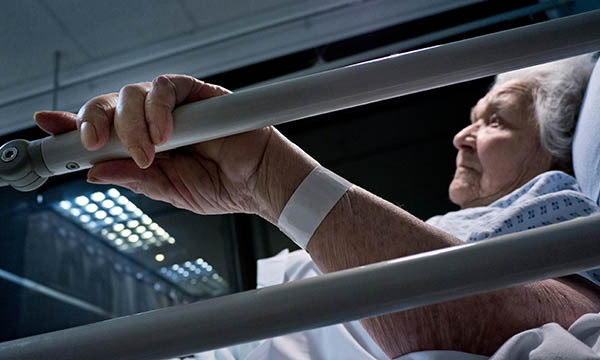 A law on minimum safe staffing levels in adult acute settings came into force in Wales in April and a safe staffing bill is going through parliament in Scotland. However, the government in England has always said it is opposed to mandating safe staffing levels. And the protracted suspension of devolved government in Northern Ireland presents a barrier there too. The college insists that research backs up its cry for action. A major study led by nurse researcher Linda Aiken and published in the Lancet in 2014, examined the association between nurse staffing and patient mortality in nine European countries. It showed that risk-adjusted hospital mortality for common types of surgery varied substantially between hospitals, but that every increase of one patient in the patient-to-nurse ratio was associated with a 7% increase in mortality. More than two years after NHS England asked the National Institute for Health and Care Excellence (NICE) to suspend its work on safe nurse staffing, guidance was published by NHS Improvement this year for nurse staffing in learning disability, mental health, district nursing, adult acute inpatient care and children and young people’s services in England. Safe Staffing Alliance chair Susan Osborne dismissed the guidance as ‘whimsical’, given the lack of recommended ratios of patients to nurses. Ms Osborne says: ‘Each guideline is silent on the real requirement for safe nurse staffing levels. Unsafe staffing has become an increasing phenomenon year on year and nothing is being done about it. Wales was the first part of the UK to enact staffing legislation this year. The Nurse Staffing Levels (Wales) Act requires hospitals to display on public boards in all adult acute medical and surgical wards figures for how many staff should be on duty – and how many actually are. The Scottish Government published the Health and Care (Staffing) Scotland Bill in May. This does not, however, mandate minimum nurse-to-patient ratios. In Northern Ireland, the Department of Health has the Delivering Care framework, but this does not define what safe staffing levels might be. England's Department of Health and Social Care (DH) says it has increased nurse training places by 25%, citing the creation of an additional 5,170 pre-registration nurse degree training places from 2018. A DH spokesperson adds the NHS now has more flexible working arrangements and health service staff have just received a pay rise. The RCN's campaign for safe staffing legislation will be led by its Northern Ireland director Janice Smyth. She says: ‘We know there are not enough nurses. ‘The numbers we trained were reduced and there were measures taken to save money – such as vacant posts frozen, recruitment slowed, and an increase in use of nurses from banks and agencies, all in an attempt to balance the books. ‘These measures have long-term implications that will take longer to rectify and that is the position we are in now. Nuffield Trust director of policy Candace Imison says the Nursing Standard-Sunday Mirror survey results on staffing add to ‘a really important message to government’ about nursing. Ms Imison says: ‘Nursing is in a critical place at the moment and it is not clear how we are going to get out of it. ‘It is not at all beyond the bounds of possibility that we could have a similar situation to Mid Staffs occurring. Ms Imison points to the loss of the nursing student bursary, continued pressure on staff and the demographics of the nursing workforce, as well as Brexit, for putting nursing in the UK ‘in a perilous place’. She says: ‘Government may have nominally increased training places for nurses, but we know the loss of bursary has reduced applications to nurse training, which is particularly problematic in some areas, such as on learning disability nursing courses. Acute trust senior staff nurse Bridget Partridge, who works in south east England, says she feels concern for the younger generation of nurses in England who are no longer eligible for the NHS bursary. Ms Partridge says: ‘The lack of funding for nursing degrees, the expectations put on nurses in wards and the lack of nursing staff – these are my concerns. Experts agree there are a range of solutions that could help to address the staffing crisis in nursing. Jane Ball, principal research fellow at University of Southampton has published research on associations between care quality and workload. Here she talks about our survey findings. When the volume of health services to be provided increases beyond the levels commissioned, there are two options: reduce the range of services on offer, or provide the same services to a lower standard. In either case, care is rationed so that provision can be accomplished within budget. While cutting services is never going to be popular, it does at least allow public discussion and explicit decision-making about which services to prioritise – and which to cut. But providing the same services for more patients means less nursing time per patient. 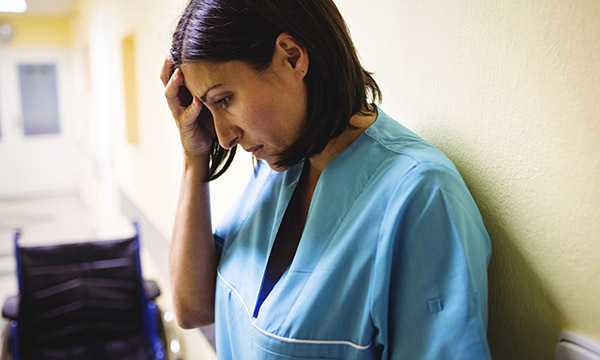 In this case, decision-making is passed down to the individual nurse on each shift: what to prioritise, for which patients, and which things to leave undone, because of a lack of time. Our research found that more care is left undone when registered nurse staffing levels are lower. This not only compromises the quality of care provided, but puts patient safety at risk. A 10% increase in missed care was associated with a 16% increase in number of patients dying while in hospital. Perhaps it is time to consider a third option: to increase funding to cover the services we want at a standard we can all – particularly patients – live with. Better remuneration through fairer banding. Reviews of skills and grades mix. Proper support for ward sisters and charge nurses to coordinate care and manage clinical areas. Investment in training and development programmes. Proper breaks for staff and certainty about being able to go off duty on time. Janice Smyth says nurses are doing too many things that they should not be doing. Ms Smyth says employers, regulators and providers need to look at what nurses are being asked to do and satisfy themselves that care provided to patients is safe. She adds nurses are often not well-served by the technology they are given and there should be an increase in digitisation and IT support. The RCN will now lobby not only for safe nurse staffing legislation and supporting statutory instruments to be in place in all four parts of the UK, but for measures that demonstrate specific accountability for safe and effective care in each health and care system. Ms Imison says: ‘We also need to think about putting back the nursing bursary, particularly in areas such as learning disability nursing where we are having difficulty attracting people, and also for postgraduate students.